I must be in a Spanish food mood because I didn't realize my previous post Iberico. We went to the new Spanish Wine bar Vera located in the red hot West Loop. They don't take reservations and our plan of arriving late friday night worked to perfection. The space is very well done with nice clean looks, and a long bar area by the front door and another cheese bar area as well. I also like the open view kitchen in the back with a large chalkboard overhead displaying the wines of the day. The food was great and the menu has nice balance of simplicity and variety. Our first two dishes came from the fish side of the menu: kona kampachi and escabeche of trout. But the kampachi was not available and they substituted hamachi instead. 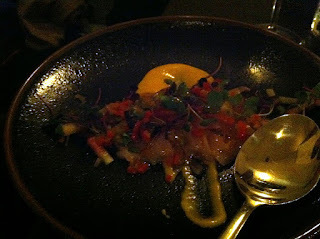 It was one of my favorite dishes of the meal - nice, well seasoned thin pieces of raw fish with a kick in the sauce. 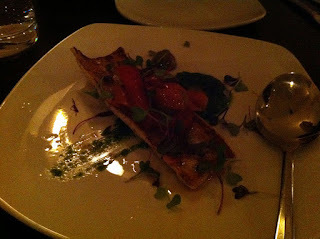 The trout was not my favorite because it lacked any real flavor but it wasn't bad. 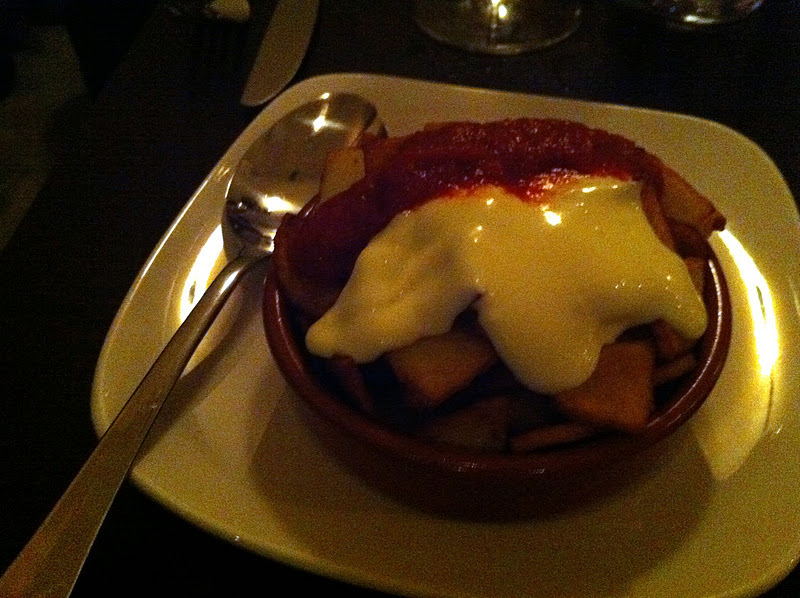 The papas bravas - potatoes with red sauce and white aoili - was so good we had to order two to avoid any fighting. The potatoes were perfectly cooked, crispy and well seasoned and the sauces were a nice compliment - fire and ice style. Finally, we had two vegetable dishes (cauliflower and brussel sprouts) and Elysian Fields lamb chorizo with (roasted onions and winter greens). 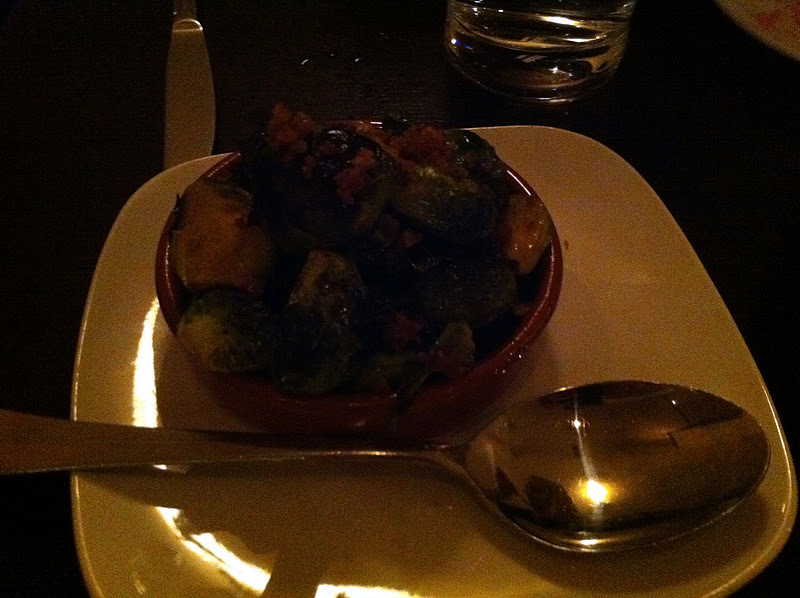 The brussel sprouts were not good, very soft/mushy without desirable flavors. 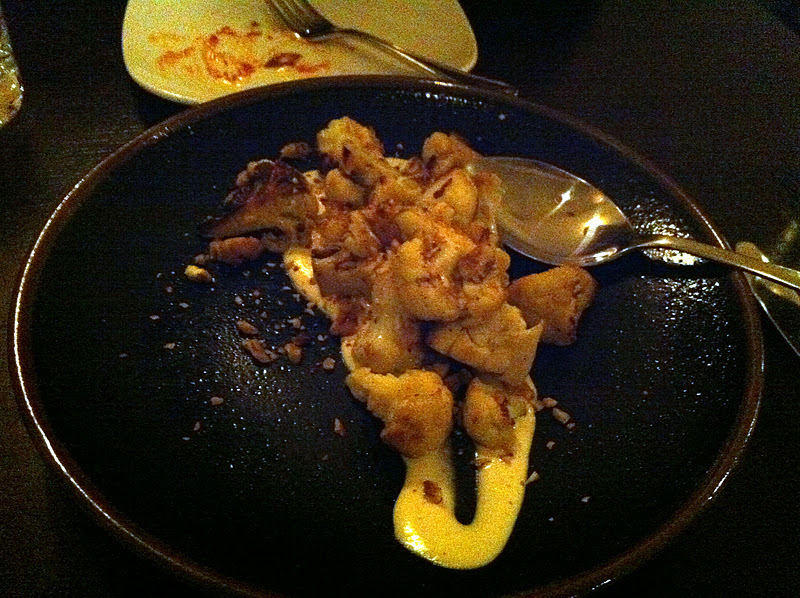 On the other hand we enjoyed the cauliflower a lot and thought the lamb chorizo (more like sausage) was tasty - especially the sauce and onions it came with. By and large we liked the food with a great fish starter, awesome potatoes and nice mains. I also haven't mentioned that the four glasses of wine we ordered were also great. They serve three types of wine on tap and I tried and enjoyed one of the reds. 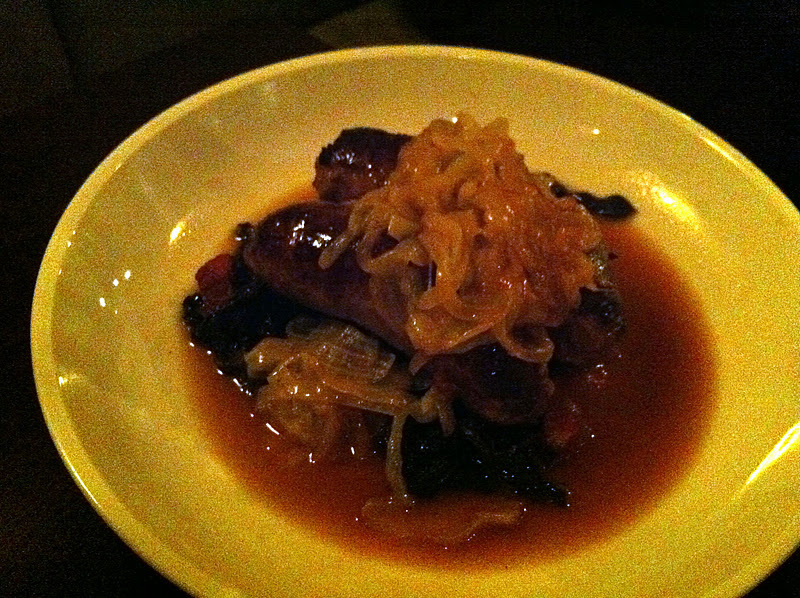 The value of the meal was average with some dishes good value and others questionable. But given we were full at the end and each had two glasses of wine the total bill of $100 is comparable to other meals. Vera continues to the red hot trend going on in West Loop/Randolph with new places serving good food and drink. I enjoyed the atmosphere and experience and would recommend people to check it out.